Say Oui to National Hot Dog Day! 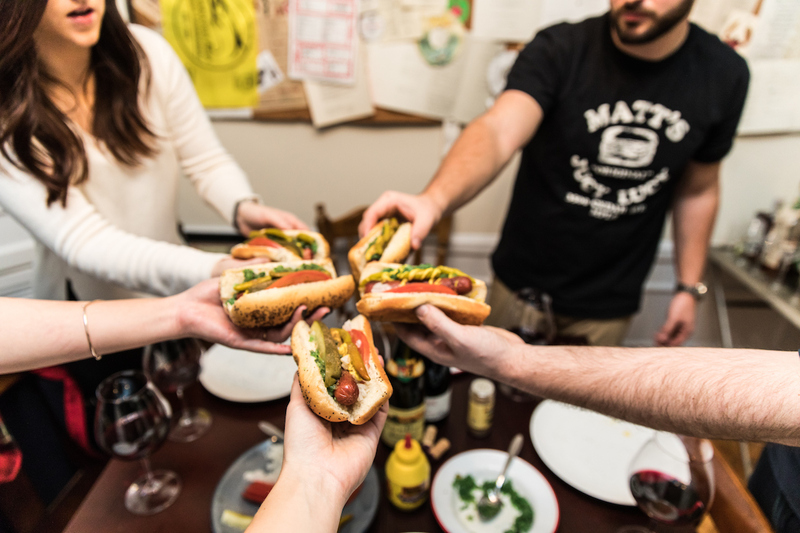 Today we celebrate the best hot dog variation in existence, Chicago Hot Dogs — yeah, we said it. Grab a bottle of your favorite Beaujolais, put a slight chill on that bottle, and whip out all of the necessities for a Chicago Hot Dog: poppy seed bun, neon relish, celery salt, onions, pickles, tomatoes, mustard, sport peppers (and, never ketchup).